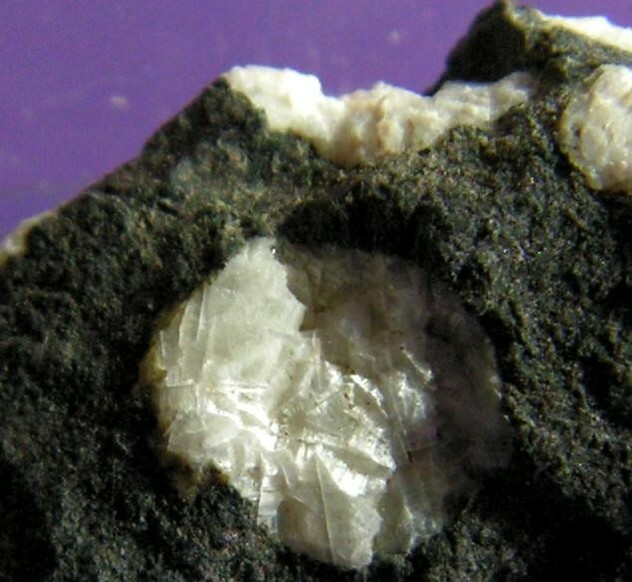 Erionite-Na: Mineral information, data and localities. Named in 1898 by Arthur Starr Eakle from the Greek εριον meaning wool in allusion to the "wooly" appearance of the type material. 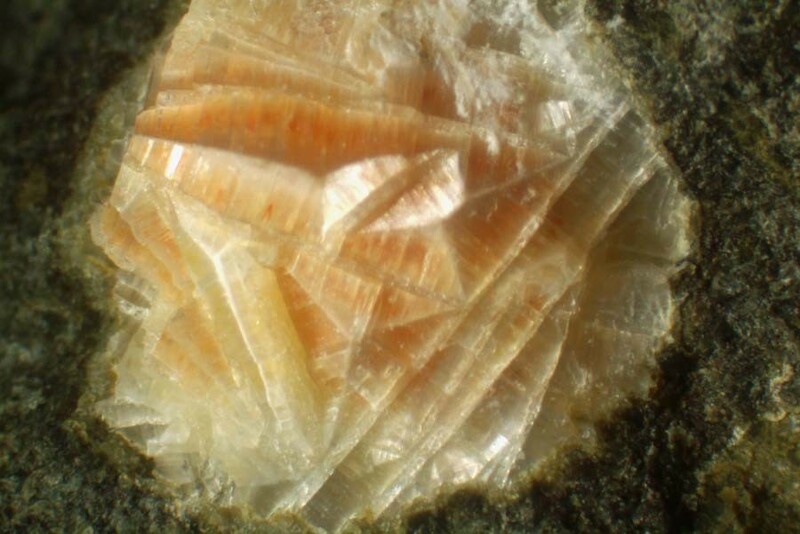 Erionite was first found at the Durkee Fire Opal Mine, Swayze Creek, Durkee, Baker Co., Oregon (Tschernich, 1992). In modern nomenclature, the original erionite was erionite-Na, but potassium was nearly equal to sodium. Levinson Rule suffix added in allusion to Na dominant excangable cations. Lévyne 1 photo of Erionite-Na associated with Lévyne on mindat.org. 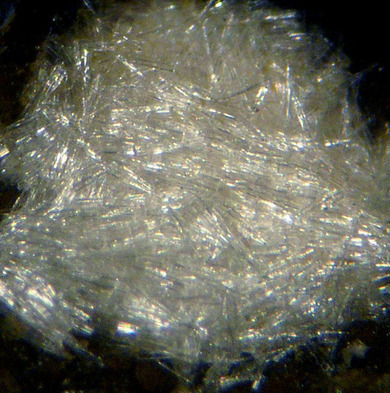 Passaglia, E., G. Artioli, and A. Gualtieri (1998): Crystal chemistry of the zeolites erionite and offretite American Mineralogis: 83, 577-589. European Journal of Mineralogy: 10 (1998), 1037. Dogan, A.U., Dogan, M. (2008) Re-evaluation and re-classification of erionite series minerals. Environmental Geochemistry Health, 30:4, 355-366. Vezzalini, G., Quartieri, S., Rossi, A, Alberto, A. (1994) Occurrence of zeolites from Terra Victoria Land (Antarctica). Terra Antarctica, 1:1, 96-99. Passaglia E., Artioli G., Gualtieri A. - Crystal chemistry of zeolites erionite and offretite. Amer. Mineral. (1998), Vol. 83, pp. 577-589. SHIMAZU, M., & MIZOTA, T. (1972). Levyne and erionite from Chojabaru, Iki Island, Nagasaki Prefecture, Japan. The Journal of the Japanese Association of Mineralogists, Petrologists and Economic Geologists, 67(12), 418-424.